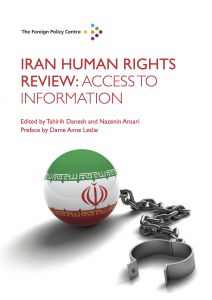 This edition of the Review focuses on the emergence of access to information as a pivotal element in promoting and protecting the Iranian human rights movement. It contains opinion pieces and detailed articles from a wide range of experts and activists with a focus on promoting a culture of human rights in Iran and the region. Collapsing Authority in the Arab World: Threat or Opportunity?